Our professional cycling team has invested in two young riders for development of the under-23 program. Her first national championship came in triathlon which she took up at age seven. A former Colorado state cyclocross junior champion, now-eighteen-year-old Laurel Rathbun, earned national titles in track and road disciplines as a junior. She raced cyclocross with our team for the 2014-15 season, will expand to compete in mountain bike and shorter gravel events as well as cyclocross. 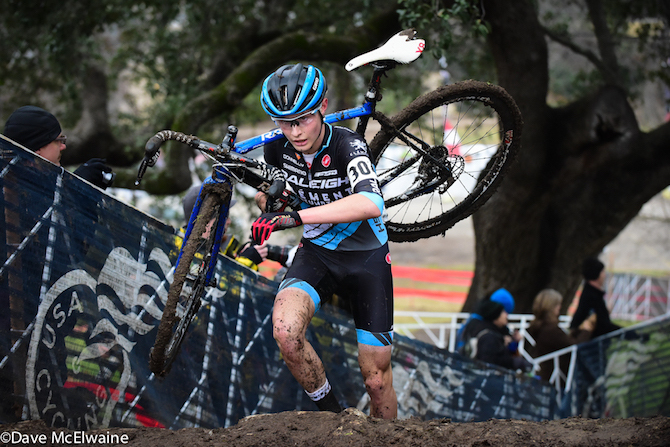 Rathbun made steady progress with the team during the cyclocross season and finished as high as second in an elite women’s UCI race at the North Carolina Grand Prix. 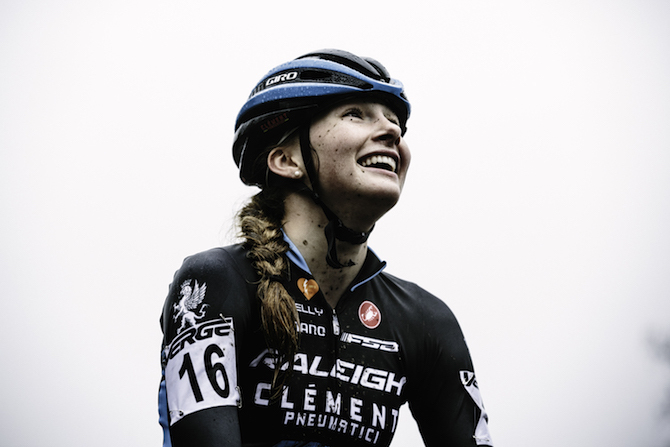 She placed third in the inaugural Pan Am Continental Cyclo-cross Championships women’s U23 category. The Bend, Oregon resident started cycling at age three on a pedal-less balance bike. Seventeen year-old, Lance Haidet, moved on to mountain bike and cyclocross racing at age twelve and has collected Oregon state junior titles in both cycling disciplines. The victory in Louisville and at CXLA in November helped secure his second place overall in this season’s USAC Pro CX junior men’s standings. He will race mountain bike and cyclocross contests for our team while he continues with the Bear Development Team on the road. Both riders are currently students are working with team manager Donn Kellogg as well as their parents and schools to sketch out appropriate racing schedules together with short and long-term goals. Haidet attends high school. Rathbun studies and races collegiately at Marian University.